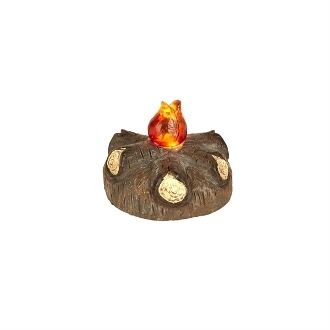 Lighted Firepit Campfire for Miniature Gypsy Fairy Gardens. Full Description: This mini fire glows softly from within when switched on. Goes perfectly in a camp-themed garden or under our mini Christmas mantle! Designed by Genevieve Gail. Battery operated (CR2032).